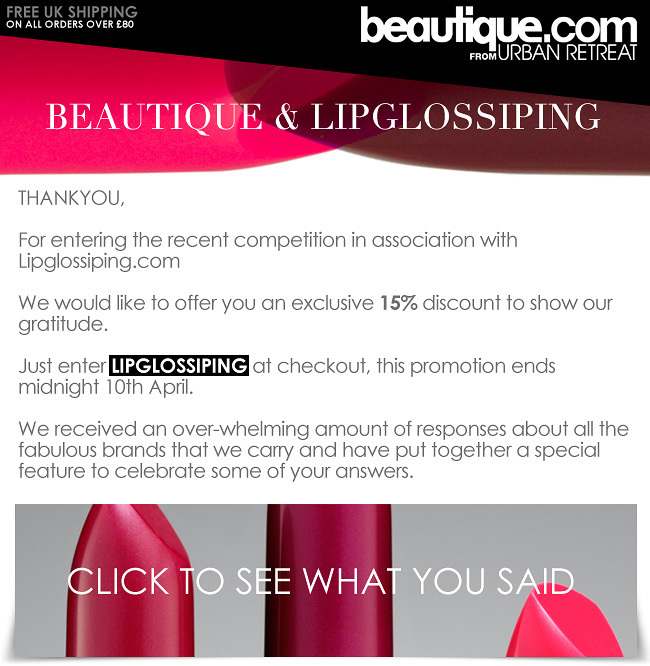 Deal Alert: Beautique choose their winner and a DISCOUNT code! A BIG thank you to everyone who took the time to enter my recent Beautique/Urban Retreat competition! But who was the lucky winner of an amazing £100 Urban Retreat voucher and pamper hamper? Well, turns out – it was this lady – congratulations Stephanie! If you want to have a read of some of Beautique’s favourite entries, click here to see if yours made their top list! Thanks so much to Charlotte and Beautique! I’m well chuffed lmao! !